We began this adventure by purchasing a Porsche Macan S and picking the car up at the Porsche factory in Zuffenhausen, Germany… the road trip is now “official”. This segment of the series is dedicated to the actual driving experiences along the way. Gentlemen Start Your Engines…. We are off! We began our day with a breakfast feast at the Hotel Schlossgarten, and retrieved the car from his “special” underground, secure parking place reserved for hotel guests. Stuttgart is the home of Porsche and Mercedes Benz so the hotel is used to accommodating the paranoid owners of new cars that are over protective of their investment… as the trip progressed the paranoia waned a little, but just a little. When we picked up the car at the factory we were informed of some very strict “rules”. We had to sign documents that, in essence, acknowledged that we have a thirty day German registration, and thirty days of insurance coverage. Porsche paid half the premium and we paid the other half. The effective rate for the insurance exceeded $6,000 per year. Max had an unusual red license plate which denoted temporary status and our get-out-of-town date prominently displayed… 02 10 15. We were also provided two Day-Glo yellow vests that, by law, were required to be in the car. In the event of any road breakdowns we must put them on BEFORE we leave the car to inspect the “whatever”… it is the law. 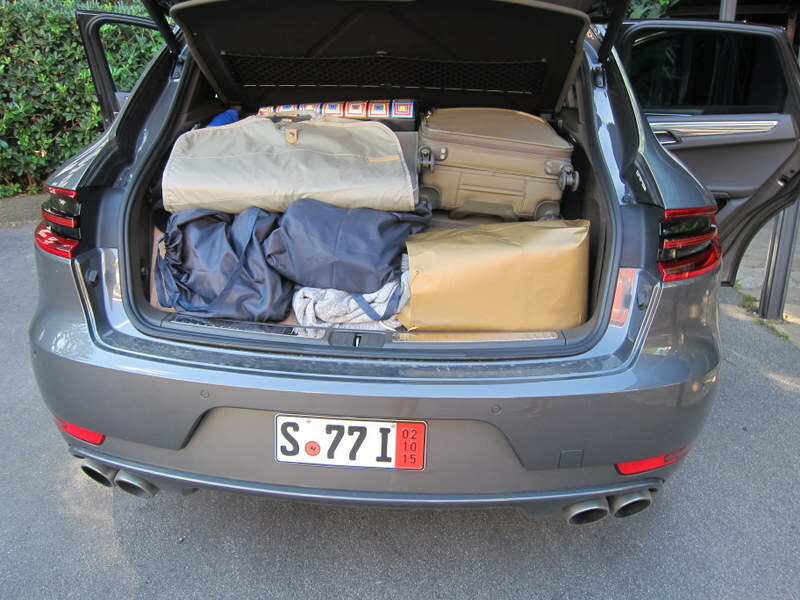 We loaded the car and dialed in the Salzburg apartment’s address as we headed south with a car full of luggage and our traditional assortment of roadie snacks. Yes, we ate food in Max on the very first leg of the trip… has to happen sometime! Once we nervously navigated the narrow city streets we transitioned to the autobahn and the first thing that we noticed was how fast the cars were moving. 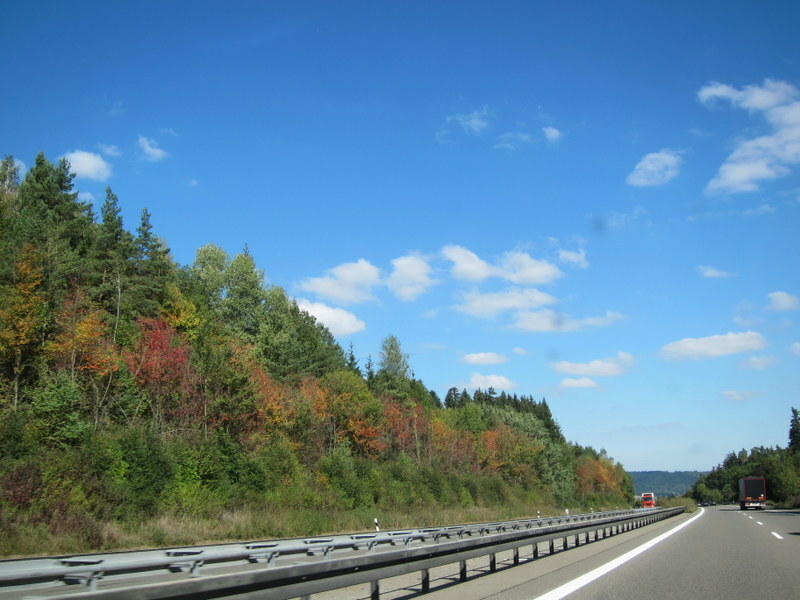 Driving on the autobahn is fun and we knew that there are sections with no posted speed limits, but until you get passed by the blur of another machine, especially when you are “cruising” along at 110+ MPH …do you realize just how fast they are traveling. We are simply not used to be driving at these speeds and left it to the people with the experience and expertise to navigate the road at over 150 MPH. As we drove we noticed that the car began to create a comfortable and enveloping environment for each of us. All the controls were just in the right place and easy to access. The car provides continuous feedback and after a while it all begins to fit into a logical and smooth process. The old “fits like a glove” cliché became a reality during the initial hours in the car. Please reflect on driving a factory fresh, brand new car in the town where you currently live, and on roads that are completely familiar to you. The driving and parking laws are well known and even the typical personality of the drivers that you interact with every day are part of your “normal” driving environment. You even get to park your new pride and joy at your home, safe and sound, right after a few laps around town. But we bet that you would still be filled with a lot of trepidation and be as cautious as possible. Now throw all of that out the window and image driving your brand new car in a completely different environment where every mile driven is a first-time experience. It brings a little sweat to your palms. Bonding with the car was the easy part and we got really good at driving it motivated by pure fear and survival instincts. Are we going to get crunched by that truck, or get scratched by that wall? Get a door ding in a parking lot? What about that rock that just hit the windshield? Do you see any damage? There were many times when we believed that Max had some kind of force-field protecting him. 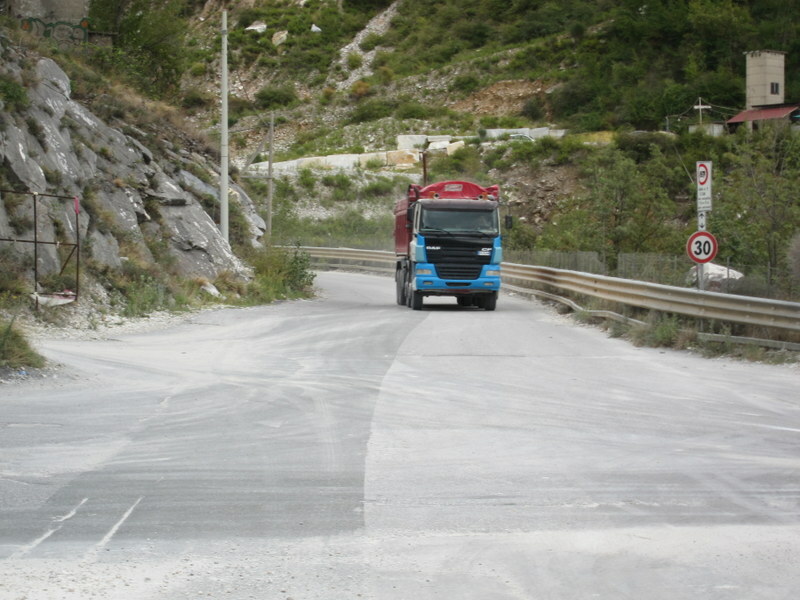 For instance, there was the time going through a narrow tunnel near Lake Garda, Italy when a tall truck coming at us had to cross over the center line because its roof was too high and he had to “borrow” some of our lane. We really thought that this was bye-bye nice new car and hello to a ripped side section from either the truck or the wall of the tunnel. We sincerely do not know how we got through that close encounter. How about the sheer thrill of slaloming numerous, extremely tight road construction sections next to other cars and trucks that are only a few feet away…so close you can literally reach out and touch them? Oh yeah, all this entertainment at freeway speeds. 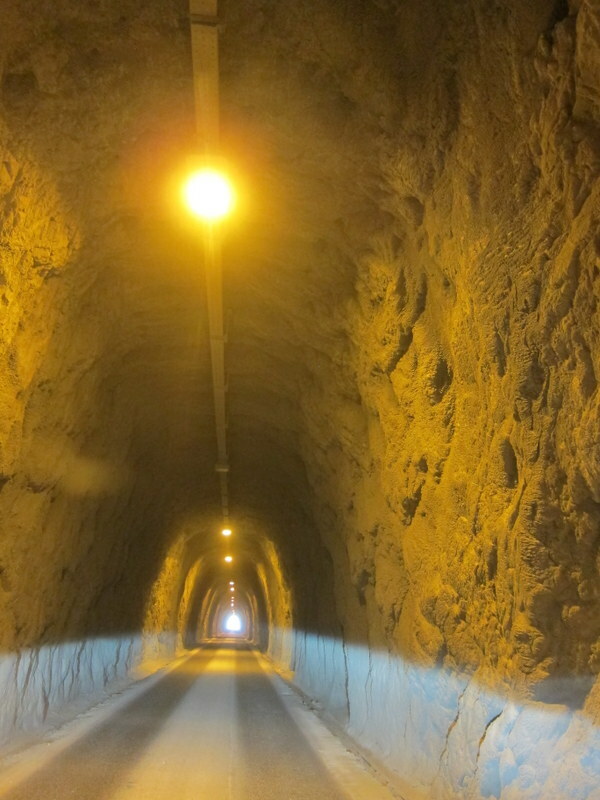 How about driving through seemingly endless tunnels going under the Alps or the many dark and eerie tunnels through the hills of Carrara, Italy? How long is this tunnel going to be? Max was such an exciting car to drive and was very luxurious but not pretentious, flashy or obnoxious… a true stealth sports car in the body of a crossover containing some of Porsche’s latest technology. When we dropped him off at the end of our trip we were very attached to Max. We did not realize that we would have to wait two to three months before we could actually see him again and that put a slight damper on our enthusiasm. In retrospect, would we do it again? Absolutely… all good things come to those who wait and we enjoy reliving all the tales and experiences with our friends and family to the refrains of…. “wow… did you guys actually do that?”. If you are ready for the challenges from initial procurement through final delivery….go for the adventure! The road trip was an amazing experience punctuated with moments a sheer joy and sheer apprehension. Everything was intensified because we were driving our new car in some very challenging and unfamiliar destinations. A rental car, no problem but when it is your own it’s a different story. We experienced many fun and interesting destinations and will continue the series based on those road trip related tales. 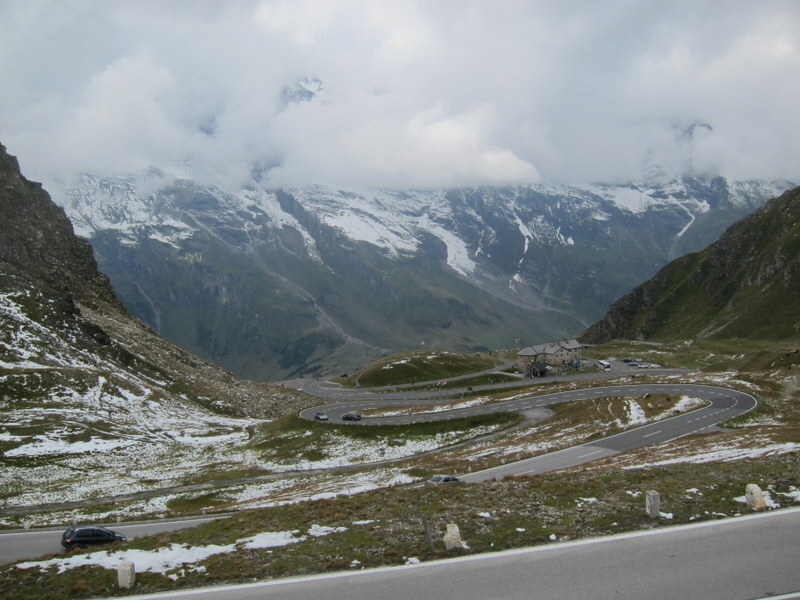 Please follow us in the series to part six….Austria. This entry was posted in Uncategorized on November 4, 2015 by Bob and Janice Kollar.